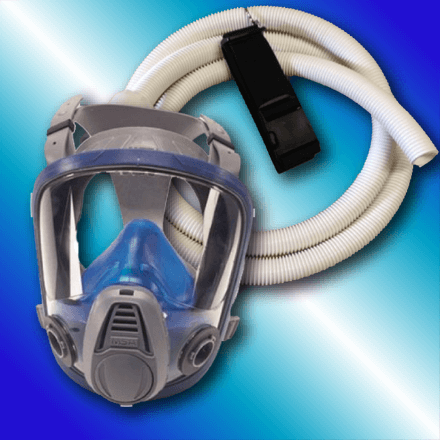 The Full Face Respirator Mask with Breathing Tube offers the added mesh suspension, silicone facepiece and rubber head harness. This mask delivers full protection and comfort for use with the CB8000 Air Conditioned Fresh Air Supply system, utilizing the maximum air flow with high CFM’s. Easy connection to the mask and air lines, with the CB8000 breathing tube assembly included.